China Trunnion Mounted Ball Valve: Cast Steel Trunnion Ball Valves, 2-PC, 3-PC Reduced Bore, Class 150-2500, Grades WCB, WCC, LCB, LCC, ASME B16.34. Material Available: WCB, WCC, LCB, LCC, WC6, WC9, C5. Our company is specialized exporter, manufacturer and supplier of Cast Steel Trunnion Ball Valve, Reduced Bore in China. 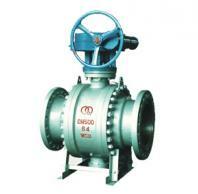 Company: Zhejiang Onero Valve Co., Ltd. Address: Zhejiang Onero Valve Co., Ltd.